One could say I'm a little bit granola. Wildflowers are my favorite, I don't eat meat, I love my station wagon, I'm addicted to Kombucha, messy hair is my thing (and usually my only option, but still). 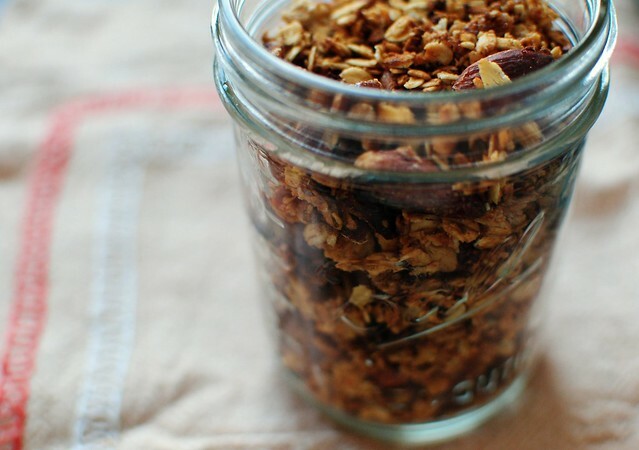 I also love eating granola. 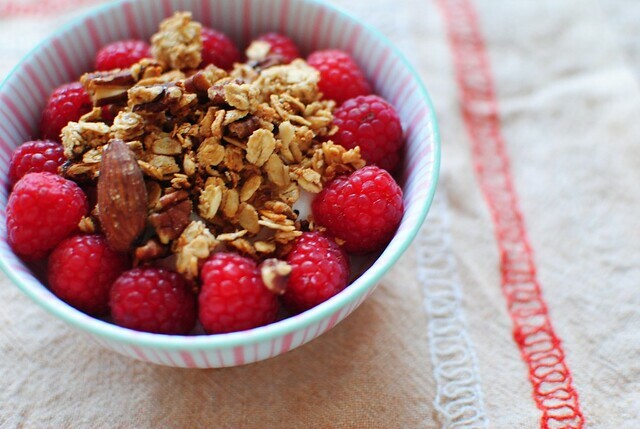 Greek yogurt topped with berries and granola has been my breakfast of choice for as long as I can remember. 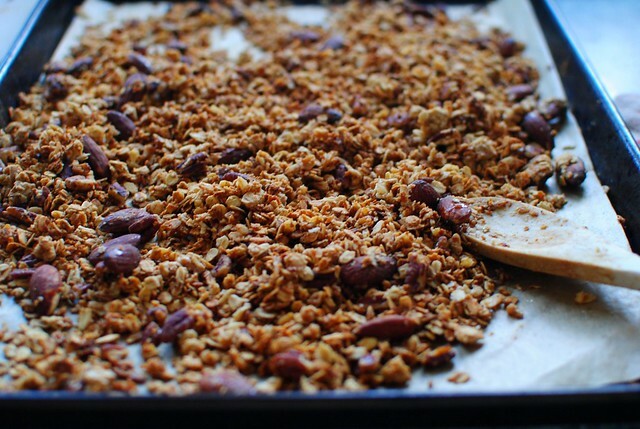 Most store-bought granola has so much sugar that you might as well be eating ice cream for breakfast. I have nothing against ice cream, but I do have a problem with unhealthy foods posing as healthy foods. If you want ice cream for breakfast, you should definitely eat ice cream for breakfast. 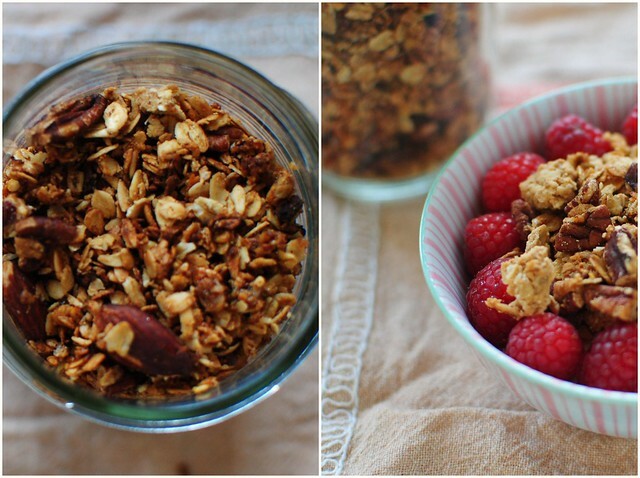 But if you want a healthy granola breakfast, make your own granola. It is totally worth the little bit of extra effort. Mix everything together and bake on a parchment paper-lined sheet pan at 325 degrees for about thirty minutes, stirring and drizzling extra maple syrup every ten minutes or as needed. 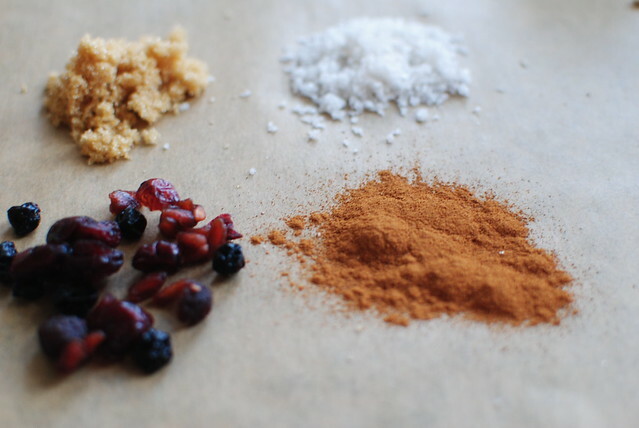 I didn't use dried fruits, but I do keep dried cherries and pomegranate seeds on hand and toss them in occasionally.